Most gardeners want their borders to be interesting and colorful over a long season, even year-round if winters are not too severe. With this book, Christopher Lloyd shows how he chooses and orchestrates plants so that the borders always look their best. Once having covered the principles of succession planting, Lloyd explores the ingredients necessary to ensure continuously lively borders — from anchor plants and permanent perennials to drop-in plants and self-sowers. 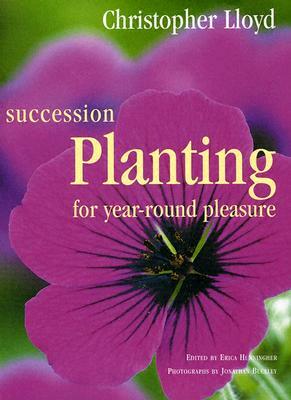 Packed with fresh ideas and practical advice for every season, Succession Planting contains all the information you need to create brilliantly successful year-round planting schemes. The late Christopher Lloyd (1921-2006) lived in the 15th century half-timbered manor house of Great Dixter his entire life. He is the author of a string of bestselling garden classics, and in 1979 the Royal Horticultural Society conferred on him its highest award, the Victoria Medal of Honour." "A manifesto on how Lloyd combines plants to keep his garden borders glorious from April through October and through the winter ... Take inspiration from Lloyd's vast experience and Jonathan Buckley's splendid photographs."